Weather you are a Breast Cancer survivor or just to support someone who is, wear our Personalized Heart and Ribbon Necklace and show your strength and support. 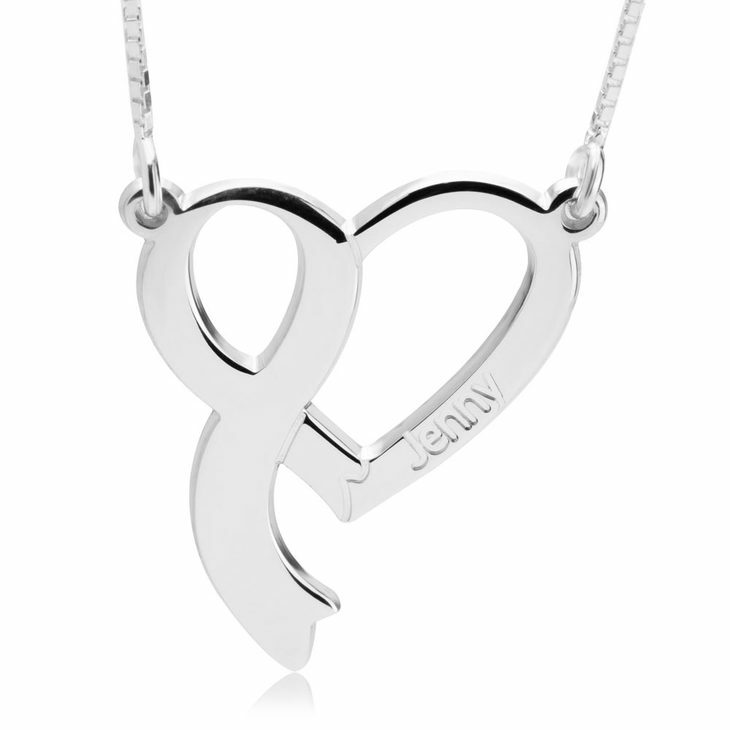 Have a special name or word engraved on the heart and ribbon pendant. A perfect and thoughtful gift to support the on-going progress towards defeating breast cancer.